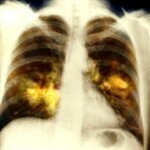 Lung cancer treatment can come in the form of radiation therapy, removal of the cancer via surgery or chemotherapy. Combination of these treatments is also possible. The treatment to be given will depend on the diagnosis of the attending medical specialist. This will be based on the severity of the tumor and the health of the patent. Removing the tumor is possible during stage 1 or stage 2. If the cancer has not gone beyond the lung, surgery may be done. 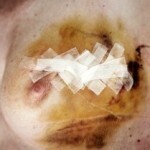 10%-35% of lung cancers may be taken out via surgery. But this does not guarantee a patient is cured because the tumor may come back. Surgery cannot be performed if the patient has other health conditions like a heart disease. This may be used in both limited and extensive stage cancer. The process involves using radiation and x-rays to destroy the cancer cells. 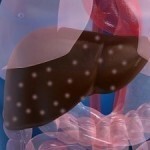 This treatment may be administered as adjuvant, palliative or curative therapy. The radiation may be given externally utilizing an apparatus directed at the cancer cells. It may also be administered internally using radioactive materials in locked containers. These are put in the body where the tumor has been located. Brachytherapy is a form of lung cancer treatment that utilizes radioactive pellet materials. These are put in the airway adjacent to the cancer or in the cancer itself. This is performed using an apparatus called the bronchoscope. Radiation may be used if the patient does not want surgery. This treatment is also performed if surgery is no longer possible. This will be the case if the tumor has gotten to the trachea or lymph nodes. Radiation shrinks the cancer, and in 15% of cases has led to cancer remission. External therapy can be performed even if the patient is not in the hospital. 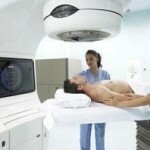 Hospitalization time is needed for internal radiation therapy. Side effects include fatigue and low energy. Diarrhea, susceptibly to infection, nausea and vomiting may occur. This may be conducted in both limited and extended stage cancer. Chemotherapy is a general term used for the administration of drugs aimed at stopping cancer cell growth. This treatment may be performed in conjunction with radiotherapy or be standalone. There are many types of chemotherapeutic drugs available, with the platinum-based medications being the most widely used. Chemotherapy is the preferred treatment when the tumors have spread throughout the body. In some cases, the chemotherapy can prolong the survival span by up to five times compared to not using the treatment. Chemotherapy may be administered via intravenous infusion or through pills. The treatments are given in an outpatient manner. The drugs are given in cycles; the medications are taken over a specified period followed by breaks. Side effects include susceptibility to bleeding, hair loss, diarrhea, vomiting and weight loss. Side effects may also vary on a case to case basis. There are other lung cancer treatments being developed, and numerous medications to treat the side effects are being made as well. The research being done may lead to other cures and increase the patient survival rate.